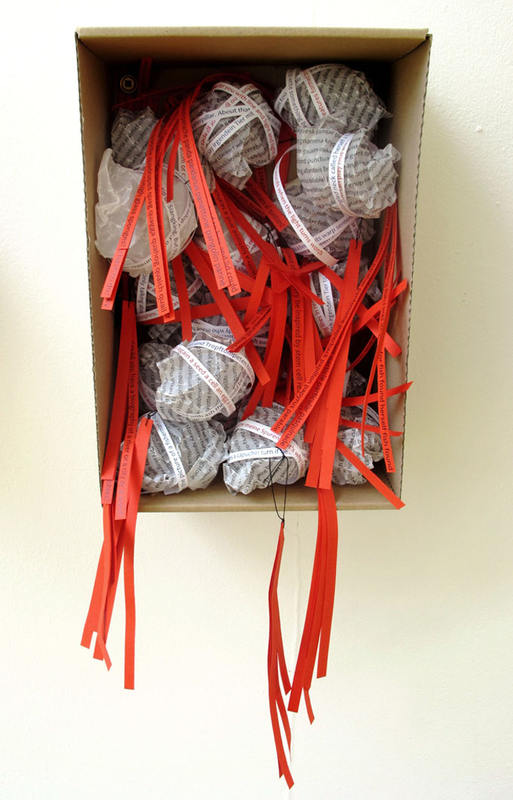 This work was part of a collaborative project called ‘Art in Shoe Boxes’, organized by the artist Mara Barth. The aim was to enable dialogues between different countries and artistic disciplines. Visual artists, writers, performers and musicians from various countries across Europe received an empty box each, which they were asked to use as a basis for a personal artwork. Each box was then posted to another, randomly chosen artist of the group, who faced the challenge of responding to and completing this artwork by adding, removing or changing something in the box. All boxes were then posted back to the curator and brought together in an exhibition. How could I enable a dialogue with an artist whose background and language was unpredictable at the moment of filling the box? I took the opportunity to use my interest in how a mixture of words from different languages might give suggestions to the viewer/responding person to making own associations and ideas. Associations could be very different for individual viewers, depending on their language background. I also tried to connect the playfulness of language to the potential for play with small objects. 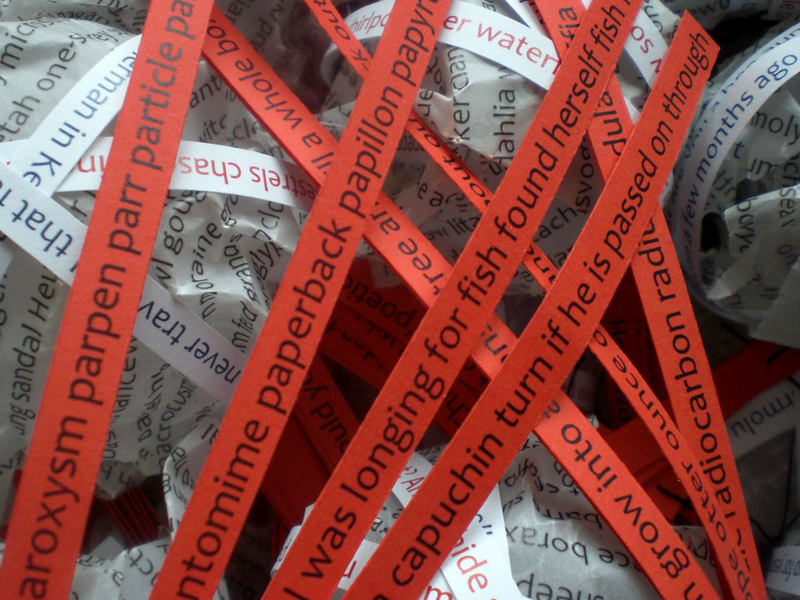 Words were researched, printed onto tracing paper and assembled as bundles, together with a range of poetic questions each, to give further suggestions for ideas. I tried to give this work an aesthetic appeal while at the same time leaving it open enough for the receiver to respond to it in a verbal or visual way (e.g. by dismantling the bundles).